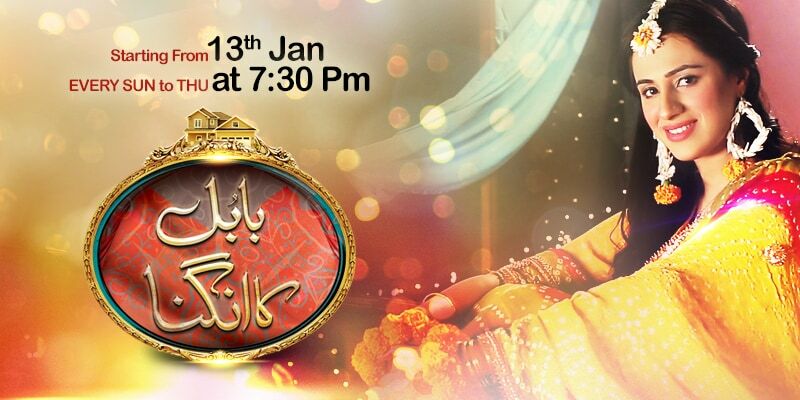 Babul Ka Aangna (بابل کا انگنا) is a new drama on Geo Tv starting from 13th January every Monday to Thursday at 7:30 pm. As per the promos of this drama, it is the story of a girl who is leaving her parents home due to her marriage but before the marriage she is sensing some fear. ( بابل کا آنگن چھوڑنے سے پہلے ۔۔۔ اندیشے کیوں دے رہے ہیں دستک) Why?? 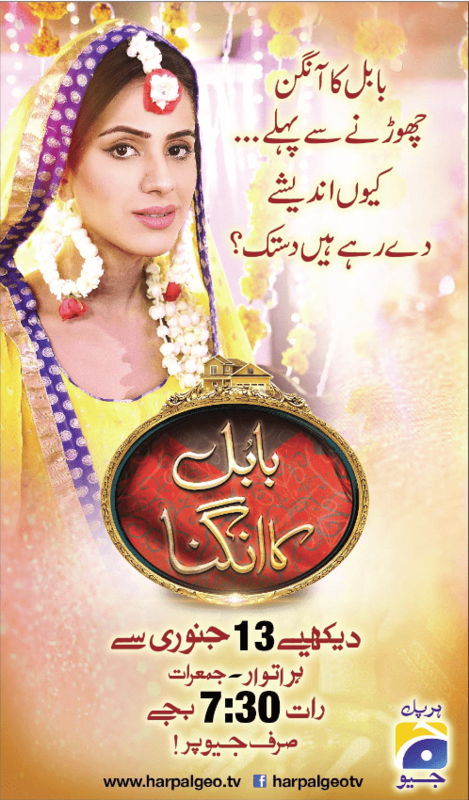 anyone interested can watch this drama to find out the answer.